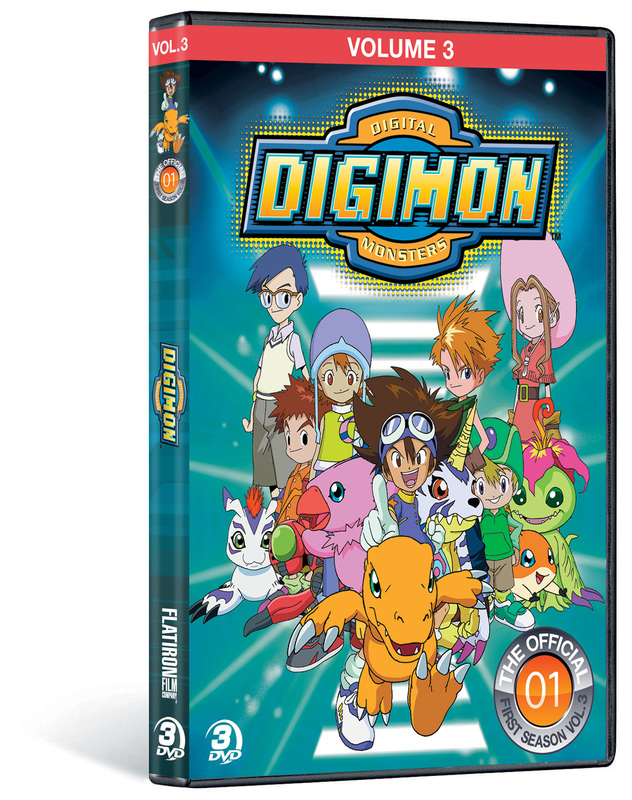 Explore the Digital World with Tai, Matt, Sora, Izzy, Mimi, Joe, T.K., Kari and their Digimon in DIGIMON ADVENTURE: VOLUME 3. 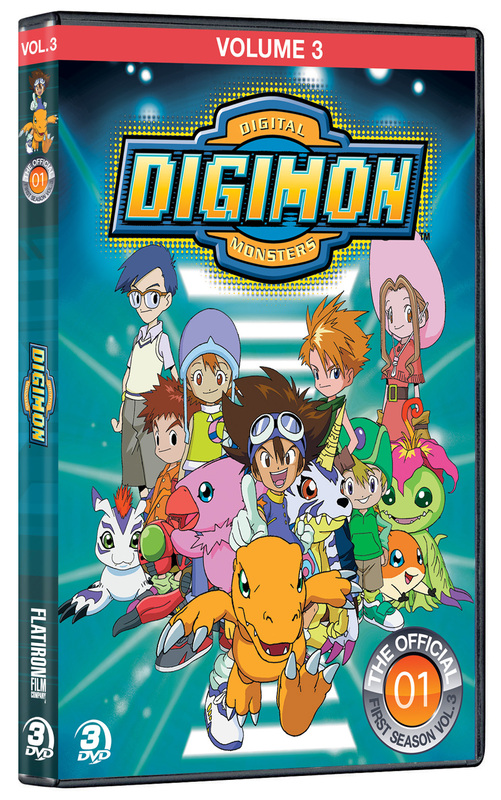 This 3-DVD set includes the final 15 episodes of the first season. 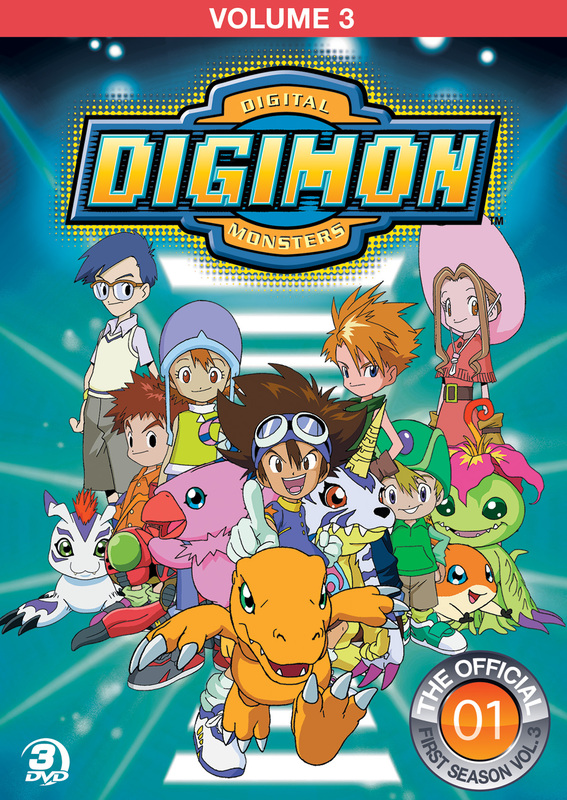 The Digidestined learn that four Dark Masters, evil and elite Digimon, have moved the DigiWorld to Spiral Mountain and are planning to overtake it. The kids resolve to defeat the Dark Masters and restore peace, but they are tested by hardships at every turn. Stranded in the ocean, chased by evil Digimon, and forced to cross forsaken deserts, they become separated when they need each other most. Will they all be reunited in time to fight their final battles and bring the DigiWorld back to normal? And will they ever be able to return to the Real World? ©Akiyoshi Hongo, Toei Animation Film©1999 Toei Animation Co., Ltd. Art and Design 2013 New Video Group, Inc. All Rights Reserved. Marketed and distributed in the U.S. by New Video.